Plano, Texas is a city that's getting noticed, having been named America’s Safest City (Forbes), one of America’s Healthiest Places (TIME Magazine), and one of the Best-Run Cities in America ( 24/7 Wall Street). Home to many major corporations and Fortune 500 headquarters, Plano offers a high quality of life that includes nationally-recognized schools and healthcare, award-winning parks, sustainability initiatives, and a wide variety of multi-cultural neighborhoods. This dynamic community features an array of dining, shopping, and entertainment venues; a lively, historic downtown district; and an active local arts scene. 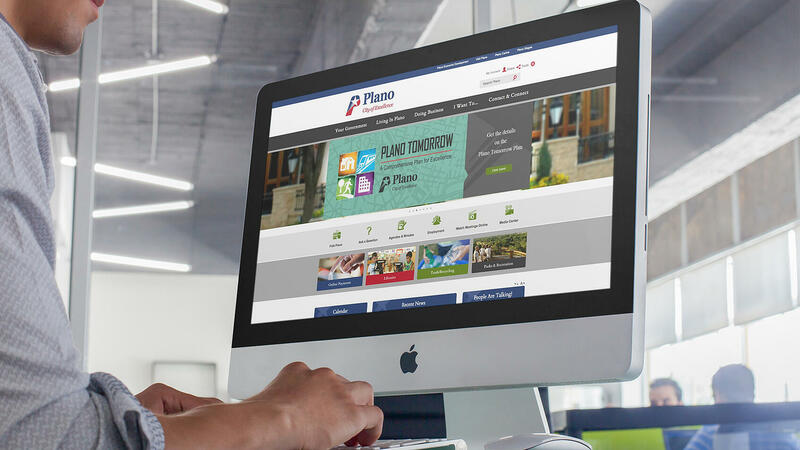 Plano developed and maintained its previous website using a document management platform with web capabilities. Digital Communications Manager Melissa Peachey soon realized they needed a better solution. “The problem was – in terms of making the website look nice and function the way we wanted it to – we didn’t have the resources. It was very difficult. There just wasn’t enough time for our marketing team to work with in-house developers to find innovative, easy-to-use ways to present information.” With 23 departments fighting for an area on the homepage to showcase information, the result was a “very cluttered, graphically intense, and difficult to navigate” website. 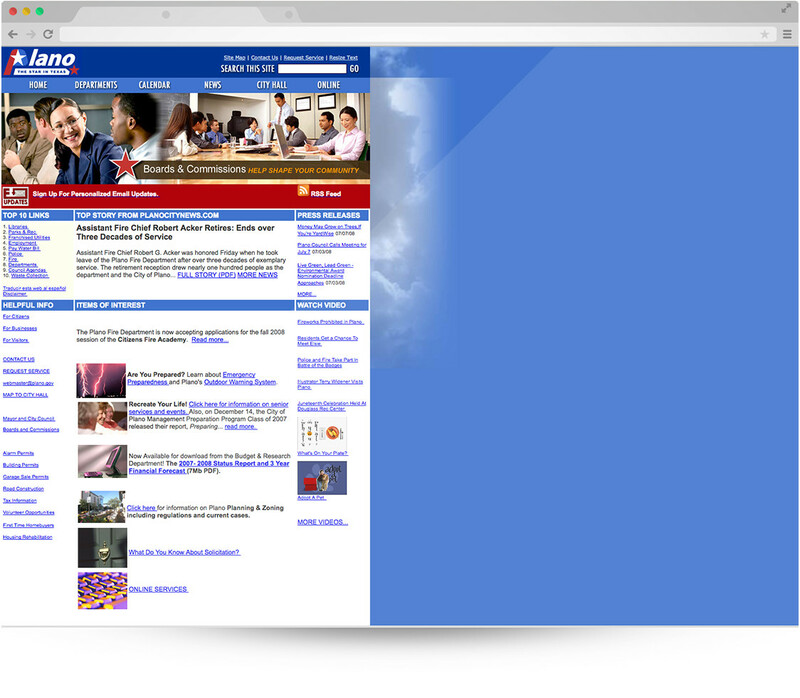 Plano’s current site is the second incarnation of plano.gov, developed in partnership with CivicPlus. Peachey said switching to CivicPlus in 2012 made the site much easier to maintain for the marketing team and the city’s departmental content providers – even non-technical staff could enter information and make updates. 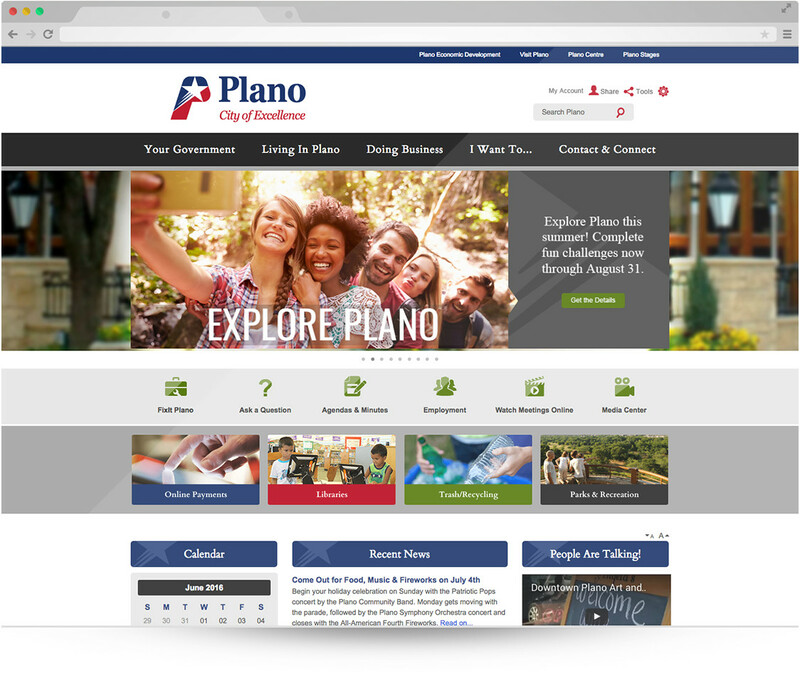 In 2014, Plano relied on its partnership with CivicPlus to launch a new, even more streamlined version of the site. Peachey said the new design is “much cleaner and better reflects our brand as the City of Excellence,” while still highlighting key information such as a calendar of events, recent news items, twitter feed, and videos. “We took a simplified approach to the navigation on our new site,” she said. “Previously, our global navigation reflected nearly every page that was available to the public at any given time, leaving the user to sort though and find what they needed. In this version of the site, we worked to organize the global navigation into categories based on the key items that the visitor is looking for.” Citizen and city staff reaction to the new site has been very positive. “In this version of the site, we worked to organize the global navigation into categories based on the key items that the visitor is looking for.” Citizen and city staff reaction to the new site has been very positive. Download our free checklist to help plan your next website.